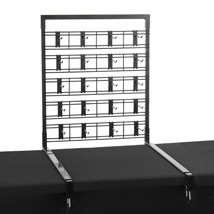 Great for trade shows, art shows, craft shows or anywhere you need to display more! 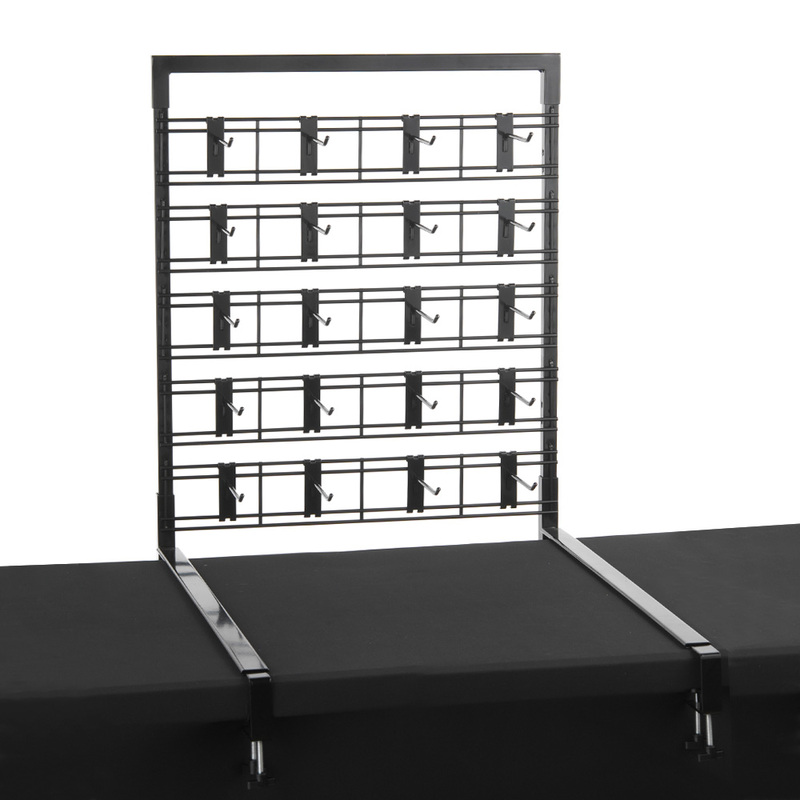 Double the display space of any table with the table top Display-Mor grid panel mount! Add a grid panel to any table and get twice the display space! Easy to use adjustable design: simply clamp brackets to any size table (up to 48 in. wide) attach panel supports then simply hang grid or slat-grid panel (panel supports included). 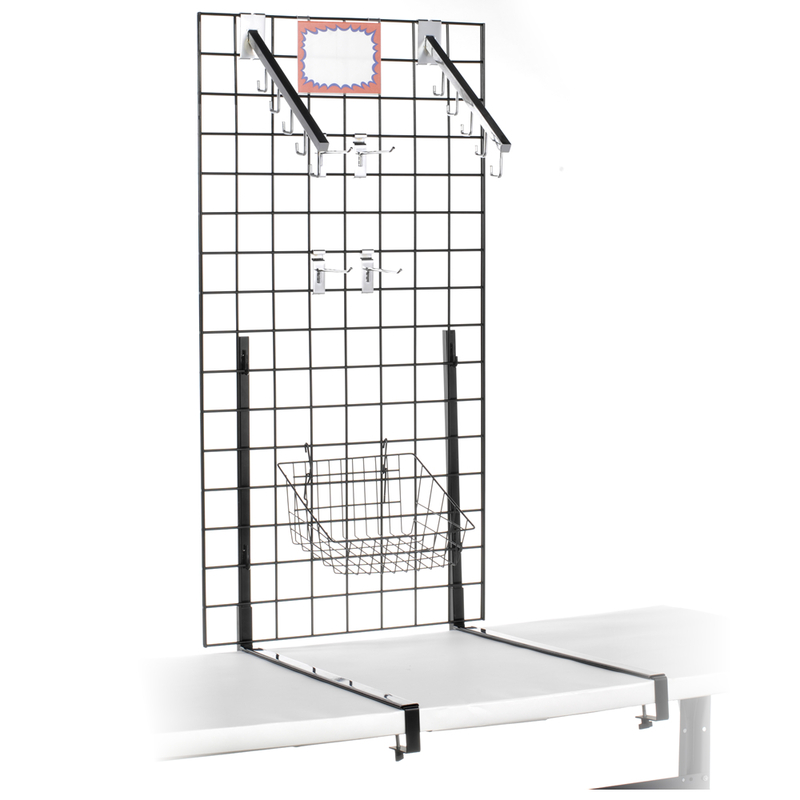 Can be used with any grid or slatgrid panel up to five feet in length or use our specially made 23 in. W x 4 in. H slat-grid sections to create a custom-sized display for your table. Separate storage bag 8128 makes transporting easy. Storage bag can hold the Tabletop Grid Mount and up to 5 slatgrid pieces. Even add a sign holder to communicate your message easily, search item 1200. Sign and sign holder sold separately. Table Top Panel Mount includes 4 mounting pieces. Grid panel and accessories sold separately.